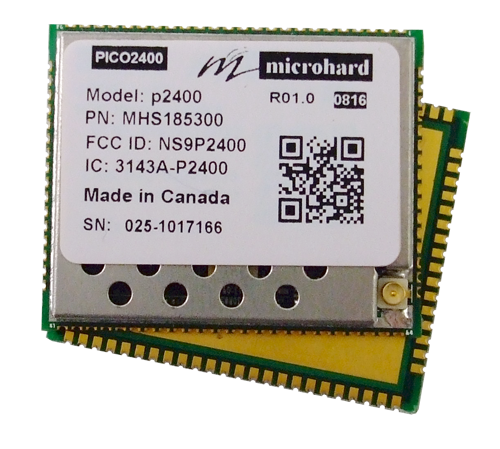 Microhard - P2400 OEM 2.4 GHz Spread Spectrum Wireless Modem. For the ultimate solution in design flexibility and cost/size sensitive applications, consider the Pico Series P2400 radio platform. 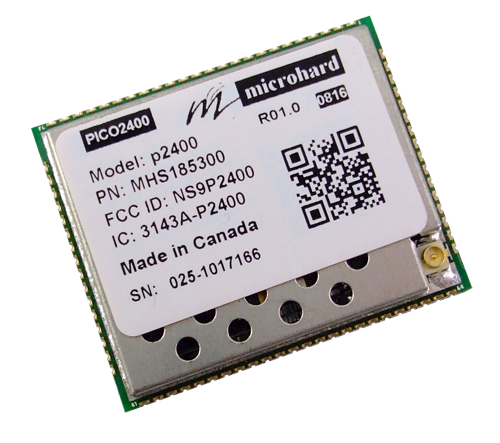 Operating in the 2.4 GHz ISM band, the P2400 provides an international, economical solution with the design flexibility, features, and performance never seen before!